Ald. Robin Rue Simmons (5th) ruminates. Aldermen decided to delay approval of a new restaurant and community center until improvements were made to the building's facade. Evanston aldermen decided to postpone approval of Rubie’s, a potential upcoming restaurant and community center, sparking discontent among 5th Ward residents at Monday’s Planning and Development committee meeting. Aldermen voiced support for the eventual opening of the restaurant — which will be located at 1723 Simpson St. — but delayed granting a special use permit until the building’s glass block windows are replaced with transparent glass and the bars on windows and doors are removed. Applicant Robert Crayton said he was frustrated with the verdict and felt that communication from the city had been unclear. Crayton said he wants to create a multipurpose area complete with programming and activities where residents, particularly kids and teens, can stay safe and busy. He added that he hopes to open the space in two phases: first, as a small restaurant without seating, and then expanded as a community space. Robert Crayton’s daughter, Jasmine Crayton, who grew up in the 5th Ward and now works at the McGaw YMCA, told The Daily she feels strongly about the importance of a place like Rubie’s. 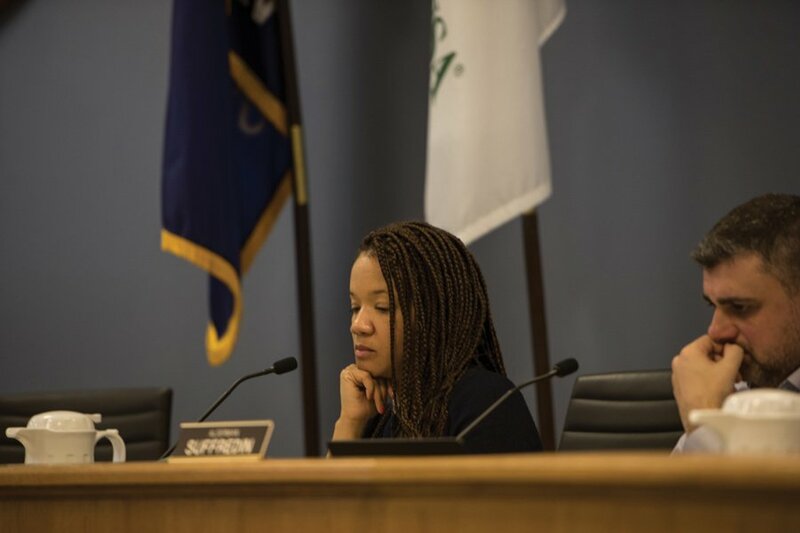 Although Robert Crayton agreed with aldermen’s demands to renovate the building’s windows, he said he does not have the money in his budget to complete the renovations. At the city’s recommendation, he applied for a facade improvement grant, which could pay for the new windows. The restaurant’s potential location has been abandoned for the past two years and also fails to adhere to certain Evanston codes, said community development director Johanna Leonard. It only has one accessible bathroom approved by the Americans with Disabilities Act — according to Leonard. Antiona Simpson, who identifies herself as a low-income parent and educator, said she appreciated the prospect of affordable options for breakfast and a safe place for her kids to spend their time. Ald. Robin Rue Simmons (5th) said she loves the idea of a restaurant like Rubie’s and stressed, in response to frustration from fifth ward residents, that there is nothing unusual about the process they are undergoing.